The Australian Trade Minister, Simon Crean launched the 40 page report "Islamic Finance" today (2.75mb PDF). This aims to find a role for Australia in the fast growing Shariah-compliant financial services industry. In 2008 I attended the Malaysian Corporate Governance Conference at the Securities Commission, Kuala Lumpur, the regulator for Islamic capital markets in Malaysia. The Australian government has a long way to go having produced just one report, with the Malaysian government producing a book store full of publications on Islamic capital markets and the free "Quarterly Bulletin of Malaysian Islamic Capital Market". The Australian Trade Commission (Austrade) clearly have Malaysia in mind, with a photograph of the Petronas Towers featuring in their report. As noted in the report (and as I noted at the conference in Malaysia), Islamic Banking has much in common with ethical investment by companies such as "Australian Ethical Investment". However, the report downplays the level of infrastructure and regulation which the Australian government would need to put in place to support Islamic finance. ethical character and financial stability of Islamic financial products: Islamic financial products have an ethical focus (notably excluding investment in alcohol and gambling) and a risk profile that will also appeal to a wider ethical investor pool. The demand for Islamic finance has not been matched by supply despite the rapid growth in the sector in recent years. An increase in supply is necessary to meet current and expected demand. Islamic finance has considerable potential to become an important element in Australia’s aspirations to be a global financial services centre in the region. It has the potential to facilitate further innovation and competition in the wholesale and retail banking sectors and to support the Australian Government’s commitment towards credit market diversification. Australia’s growing trade linkages with Asia reflect the demand for Australian commodities from developing countries such as China and India. Of the top 10 trading partners, eight are in the Asia Pacific Region with China and Japan being the country’s top two-way trading partners. Continued growth in major Asian economies will result in a need to develop resources-related services and infrastructure, which are ideal assets for some forms of Islamic financing, such as Sukuk, Mudaraba, Murabaha and Ijarah. Australia is well positioned to structure and offer such instruments as part of financing packages for resources-related development. Australia’s Muslim population of 365,000 (1.7 per cent of the total population),4 exceeds the combined Muslim population of Hong Kong and Japan and is more than half of that of Singapore. Australia’s political stability and geographic position, especially its proximity to the large Muslim populations of the Asia Pacific where 62 per cent or 972.5 million of the world total Muslim population resides,5 present an important base to service this fast growing sector in the global financial services market. Australia’s financial sector has remained strong, continuing to develop as a regional and global centre during the global economic downturn. In The Financial Development Report 2009, the World Economic Forum (WEF) ranked Australia the second among 55 of the world’s leading financial systems and capital markets. This is up from 11th place in 2008 and ahead of the US, Singapore and Hong Kong. Australia’s deep and diverse financial markets have attracted global institutions and service providers to establish operations in Australia. Access to the nation’s highly skilled and multilingual workforce, advanced business and information technology infrastructure, sound regulation regime and enviable lifestyle, have enabled investors to capture both domestic and regional opportunities in financial markets. Australia is well placed to take advantage of the Islamic finance opportunity, with widely recognised strengths in retail and commercial banking and experience in infrastructure, property, resources and agricultural financing. Australian-based financial firms, professional services providers and educational institutions exporting their services into Asia and the Gulf. growth in Islamic finance professional services providers. 1 Standard & Poor’s, Islamic Finance Outlook 2009, 12 May 2009, p.5. 2 The Banker, Top 500 Islamic Financial Institutions, November 2009. 3 IFSL, Islamic Finance 2009, February 2009; The Banker, ‘Banker survey shows the growth in Islamic finance,’ 28 October 2009. 4 Australian Bureau of Statistics 2006 Census. 5 Pew Research Centre, Mapping the Global Muslim Population – A Report on the Size and Distribution of the World’s Muslim Population, October 2009. 6 Australian Bureau of Statistics (ABS), cat. no. 5206.0, National Income, Expenditure and Product, March Quarter 2009, Times Series Workbook, Table 6. The Islamic Science and Technology Museum gets a mention in "Fathers of Invention: What the Muslims Gave the Scientific World" by Jennifer Hattam (Wired magazine, of June 2009). 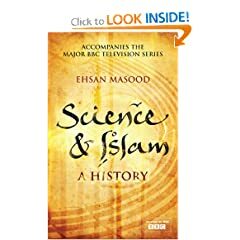 The museum celebrates scientific and technological discoveries from Islamic scholars and makes the point Islam is not anti-science. Examples from the ancient world include the Alembic, for the distillation of liquids and the Astrolabe, a mechanical calculator for navigation. I was fortunate enough to visit the museum in Istanbul shortly after it opened, in May 2008. It is well worth a visit. Also there is the Timeline of science and engineering in the Islamic world in Wikipedia. I added the museum to the timeline and in the entry for Gülhane Park, where it is located.